As for today's post - It's about 2nd companies! So , Lets start! Hi! My name is Courtlyn Hanson and I was born in Dallas, Texas. I began training at the age of three at The Ballet Academy of Texas. 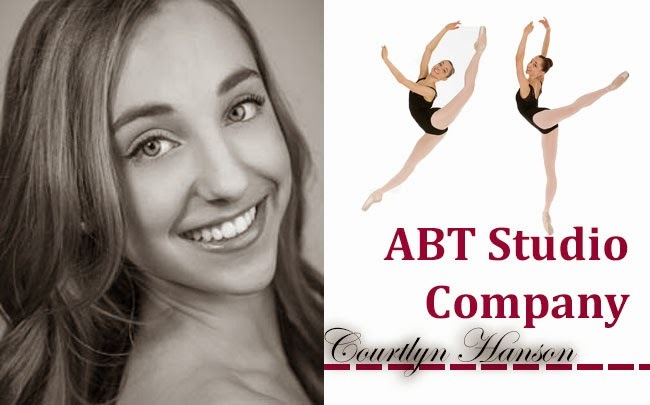 I've spent four summers at ABT's New York Summer Intensive, and received a national training scholarship in 2012. 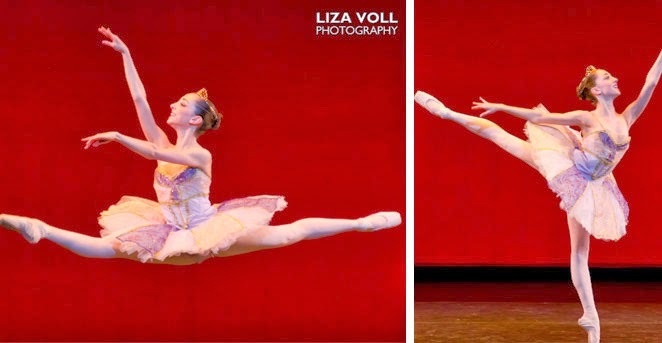 During the 2013 YAGP New York City finals I was offered a position with American Ballet Theatre's Studio Company along with Houston Ballet, Washington Ballet, and the Royal Winnipeg Ballet School. I accepted the position with ABT and began training here in September. In the company there are 7 boys & 7 girls who were chosen from all around the world,and dance roughly 35 hours a week; Monday through Friday with company class on Saturday. So far the only performances we've done with the main company have been Nutcracker. 5 girls (including myself) had the privilege of being cast in Snow and Waltz of the Flowers. The 5 boys were rats in the battle scene. Although we haven't had much performance time with the company, we've had so many wonderful performance opportunities performing here in the city, and in Moscow! The next big place studio company is traveling to is London, and then to Colorado. 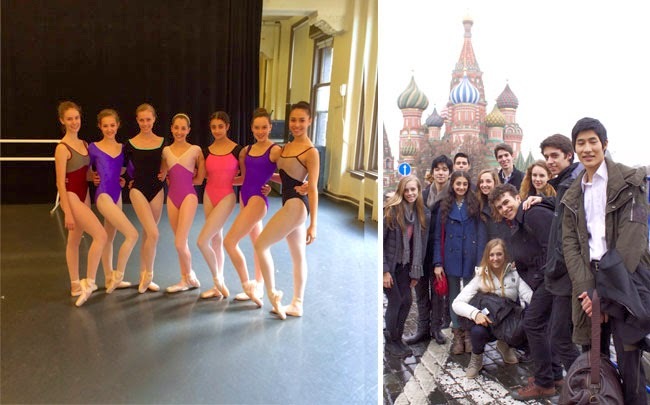 On the right - ABT Studio Company in Moscow, Russia. I've been working extremely hard this year and hope to be with ABT's main company within the next couple of years :) And I dance because I love it. The day I stop loving it (which I hope will never come) will be the day I quit. I've put my heart and soul in to this for almost 14 years now and it's amazing to see how it's payed off. :) I can't imagine myself doing anything else! My name is Serena Sovdsnes and Iʼm 16 years old. Iʼm originally from Cincinnati, Ohio but I moved to South Florida when I was 14 to train with Cuban ballet teacher, Magaly Suarez. 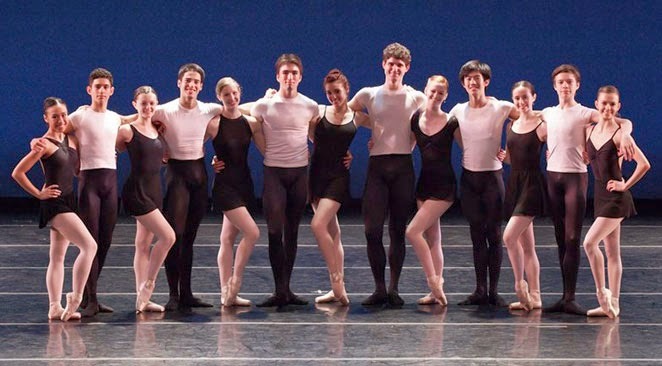 I am currently dancing in Boston Ballet II, which is Boston Balletʼs second company. I feel really blessed and very lucky to be here. Itʼs been like a dream come true ever since I auditioned in New York City just 2 days before my 16th birthday. What an awesome birthday present! This year in BBII, there are 6 girls and 5 boys. We range in age from 16 to 21 years old. A normal day for us begins with company class at 9:45 AM, followed by company rehearsals until 6:30 PM. If we arenʼt needed in a company rehearsal, we take classes with the trainees from the school. Right now we are busy rehearsing “Cinderella” which opens in March. 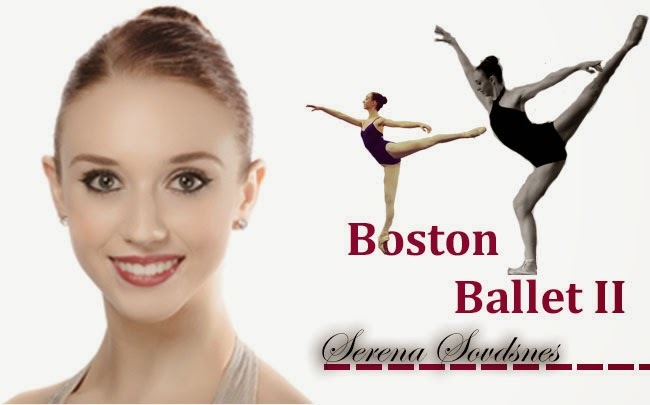 So far, BBII has performed in all of the company performances including: “Night of Stars on Boston Common”, “La Bayadere”, and “Nutcracker”. After “Cinderella”, we start working on Balanchineʼs “Jewels”. 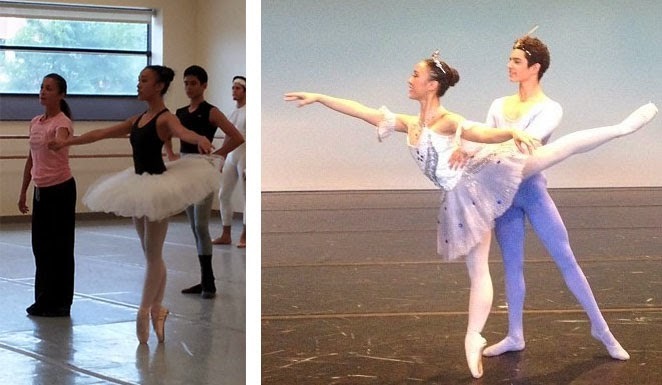 We will also be featured in Boston Ballet Schoolʼs “Next Generation” performance in May. My favorite thing about dancing with BBII, is that we are given the opportunity to dance with such amazingly talented dancers, day in and day out. It really makes you work that much harder. Standing at the barre with principle dancers like Misa Kuranaga and Lia Cirio, or going across the floor with Whitney Jensen; itʼs just so inspiring. Iʼve looked up to them for years and now I get to dance with them every day. Getting to share the stage with them is the icing on the cake! 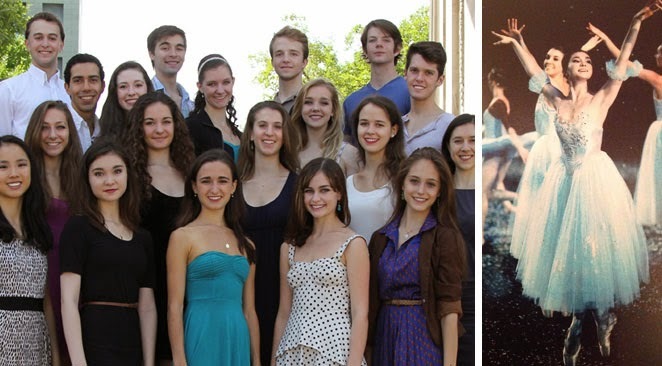 On the right : Serena and BB company members after 'La Bayadere'. Can you spot Serena? For Class, I love to wear Yumiko leotards! They are definitely my favorites. I love colors like pink, peach, lavender, pale turquoise, mint green. I also usually wear a skirt that coordinates with my leotard. My favorites are made by my friendʼs mother at Bullet Pointe Dance Wear and then some made by ex Boston Ballet Soloist, Adiarys Almeida. Oh, and I always wear some kind of flower in my hair. As for my shoes, I am a Bloch girl. I wear Bloch Axiom pointe shoes and Bloch Zenith canvas flat shoes. For the next few years I'd love to stay right here in Boston. I love the company, the dancers, the artistic staff, and the city itself is amazing! God willing, Iʼll be dancing in a ballet company somewhere in the US or Europe. Dancing is my passion. It makes me happy. I canʼt really remember a time when I wasnʼt dancing. Itʼs always been apart of my life and I canʼt imagine life without it. People tell me all the time that I was “born to dance”, and Iʼm starting to believe them. I also really like the discipline involved in ballet. I tend to be a person who enjoys routine and order in my life, so ballet fits me well. But I suppose my favorite thing is the feeling I have when Iʼm on stage. Itʼs like nothing else in the world. I love performing and being in front of an audience. Yes, I get nervous before I go on, but once Iʼm out there on the stage, I just let go and have the time of my life! What made me choose dance as a career? I say this all the time, “You donʼt choose ballet; it chooses you.” You know, like Harry Potter and the wand! Seriously though, I chose ballet because itʼs what I do; itʼs what makes me the happiest and itʼs my life! My name is Regina Montgomery and I am 19 years old. 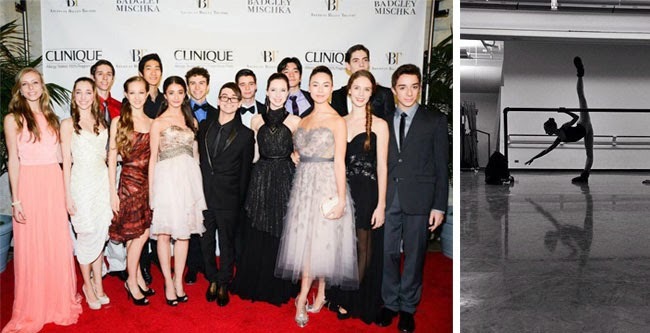 I am originally from Los Angeles, California and trained at the Marat Daukayev School of Ballet. When I was 14, I moved to Philadelphia to attend the Rock School for Dance Education where I spent the past four years. 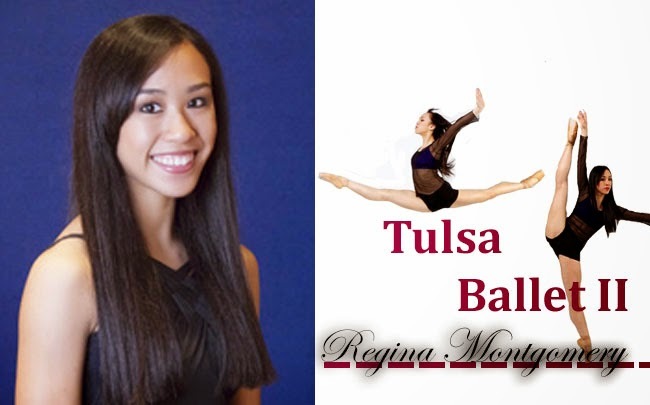 I am currently a member of Tulsa Ballet 2. There are 12 members of the second company, six boys and six girls. We dance Monday through Friday from 9:30 to 6:15 and sometimes on Saturday's to take a school technique class. My favorite thing about the 2nd company is that we are constantly with the main company, we take daily class together, are in most of the rehearsals, and some of us get to perform with them frequently. I have had the privilege of performing in all of the main company's productions. We started with a triple bill which included Rite of Spring, One End One, and Company B. I was also in a Christopher Wheeldon's A Midsummer Nights Dream, and I was in The Nutcracker. We have our own rep for the second company and do educational outreach programs as well. It is really amazing to get to work with such talented people in the company and the artistic staff is very caring and helpful. My favorite thing to wear to class is a colored leotard, black tights, and an Abigail Mentzer skirt! I wear Sansha flat shoes and I have been trying to transition from my custom made Grishko 2007 pointe shoes to Freeds. I have made. Ballet is a huge part of my life because I have been trying to perfect this art form for almost my whole entire lifetime! I hope to one day become a very successful principal dancer somewhere in the world! My name is Emily Seymour, i'm 16 years old, originally from Sydney Australia but i am currently part of Houston Ballet's second company, HBII. I started dancing at the age of 3 and did all styles of dance including Jazz, Tap, Ballet, Contemporary and Hip Hop up until 2012 when i decided ballet was the path i wanted to take. I previously trained at All Starz Performing Arts Studio in Peakhurst, NSW and also Tanya Pearson Classical Coaching Academy in St. Leonards, NSW. I have 2 brothers, one that dances and 2 sisters that both dance. In HBII there are around 18 dancers and we dance around 48 hours a week. We preform quit frequently with the main company and I feel very privileged to perform with the company at such a young age. This has really been my dream for so long and i'm extremely happy to perform along side such amazing dancers and role models. I wear capezio pointe shoes and bloch ballet flats. In the next few years I hope I would be still overseas pursuing my ballet career in a major company or even in contemporary company. Dancing has been part of my life ever since i could walk. Dancing takes me to a new world where i can express everything and anything. When i was 3 years old, my mother decided to out me into dancing classes as my two older sisters danced and i always had so much energy dancing around the living room or even crashing into my sisters dance classes! My name is Ryan Lee--I'm from Denver, Colorado and I'm 19 years old. 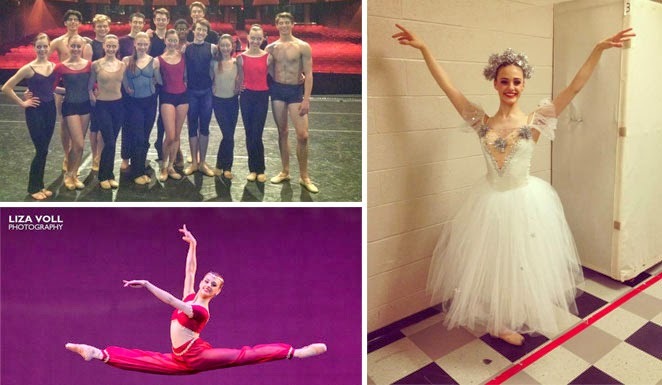 I began dancing when I was 11 at a competition studio until I decided to switch to ballet at 14. I ended up going to International Ballet School in Littleton, CO, where I trained for four years. After spending countless hours working hard and pushing my body to its limit, I ended up with a hip injury for which I needed surgery and spent the second half of my last year of training in recovery. Luckily, I recovered in time to begin the next season as a studio company member at the Colorado Ballet. 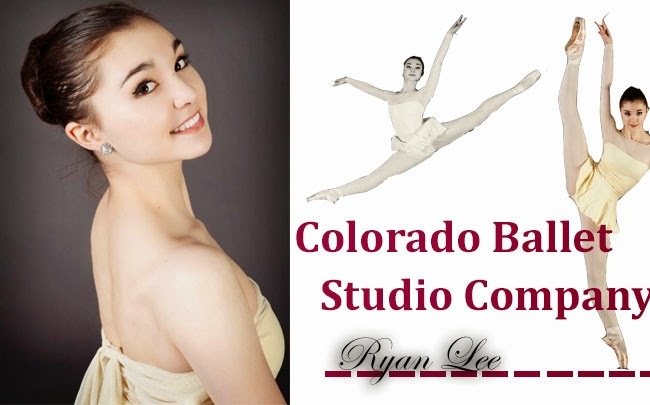 Colorado Ballet has about 50 dancers in total between the company and studio company. On average, we dance somewhere around 45 hours a week during normal rehearsal periods. When we're performing, the hours can sky rocket and some days I can spend up to eleven hours at the theater (yikes!). One thing I'm extremely grateful for is that I get many opportunities to perform with the company. This year, I was fortunate enough to be cast in all performances of Giselle as a peasant/wili, The Nutcracker as snow/flowers/Clara's friends, and Cinderella as a waltz girl. It was extremely challenging to do so many shows without an alternate but every minute on stage was surreal in the best way possible. My favorite thing about getting to perform so much with the company is that I never would have dreamed I'd be here one day and the experience gives me a great sense of accomplishment and purpose. On the left- CBSC members, can you find Ryan? We take class everyday with the company, so seeing everyone's different outfits has influenced my class style greatly. My favorite thing to wear to class is a long black wrap skirt from Tulips by Tracy, which are made by CB company member Tracy Jones (along with my signature blue sweatpants that were once my dad's in the 80s, of course). One of the best things about dancing with a company is that they order free shoes for you--I wear Gaynor Minden pointe shoes and Grishko flat shoes and wear both of them almost religiously. When you're a studio company member, many times your fate with the company is unclear. Most people stay for two years of studio company before they are (hopefully) hired as an apprentice, but most end up looking for work at other companies or pursuing other things. Personally, I'm not sure where I see myself in the next few years (hopefully still with CB) but wherever I am, my goal is to just be happy. My favorite thing about dancing is the theatrics and getting to pretend to be someone else for a while. Being able to really become one with my character is almost a way for me to tap into the innermost corners of my own self and feel truly free. I chose ballet as a career because I couldn't live without it; I knew that even if I lost one of my legs tomorrow, I'd still find a way to dance. I simply couldn't do anything else with my life. Ryan's audition video, Worth watching the whole 11 minutes! So that was it for now! I hope you all enjoyed my post, Thanks again for all of the beautiful ballerinas who had kindly agreed to interview for my blog! Make sure to give them a follow and follow the journey!